Seems the "tree pigs" are completely missing the point of Memorial Day. Last I checked, our solders aren't dying to protect a police state, but a country where peaceful expression (e.g. dancing) doesn't get you roughed up and body slammed. Let along what they did to the press photographer present. 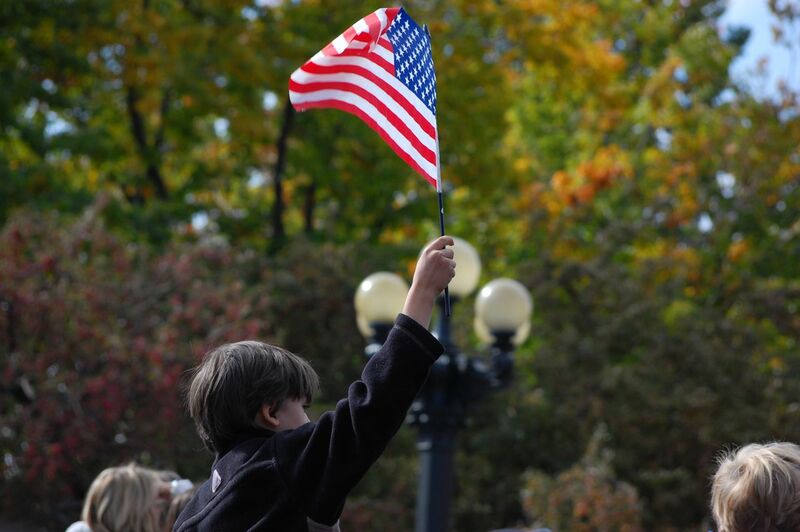 Over at Mock, Paper, Scissors is a great post about Memorial Day. Check it out. Since WW II Military dogs have had a place in the U.S. armed forces. 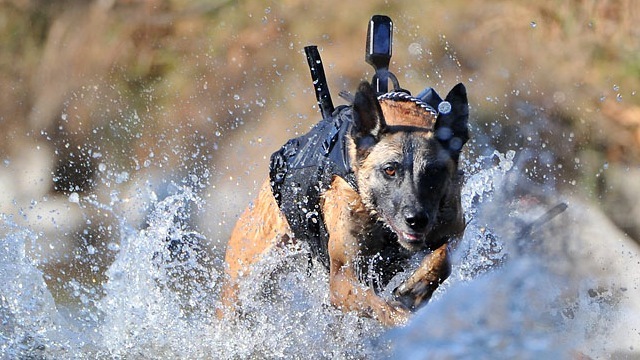 Officially, when retired, military dogs are considered excess or surplus equipment. The consequence of this classification is that dogs were routinely left in theatre because transporting them back to the states was considered a misuse of federal funds. Traditionally, the dogs were either turned over to locals or put down. 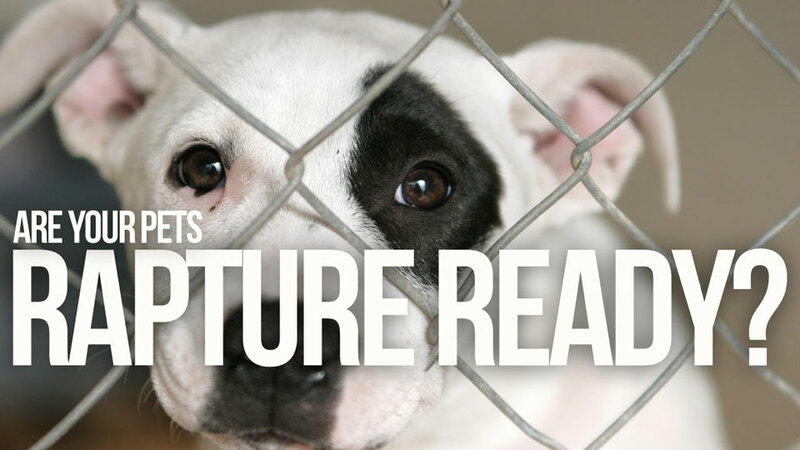 In 2000 President Clinton signed a bill that allowed the civilian adoption of these animals. While this new law allowed these animals to be given new homes, it still left the problem of how they would get back to the states where they could be adopted. These days, the animals commonly flown back to the states using private funds. There is a movement to change this. The nonprofit Military Working Dog Adoptions, founded by Debbie Kandoll to raise awareness about the retired dogs, make sure they are treated well, and help people through the process of adopting the animals, wants the military to reclassify the dogs as canine veterans. That would take an act of Congress, but it could also ensure that all dogs shipped out of the United States are brought back. "Uncle Sam gave the dogs a ride over. He should give them a ride back," Kandoll said. "To me, it's like leaving a soldier behind." 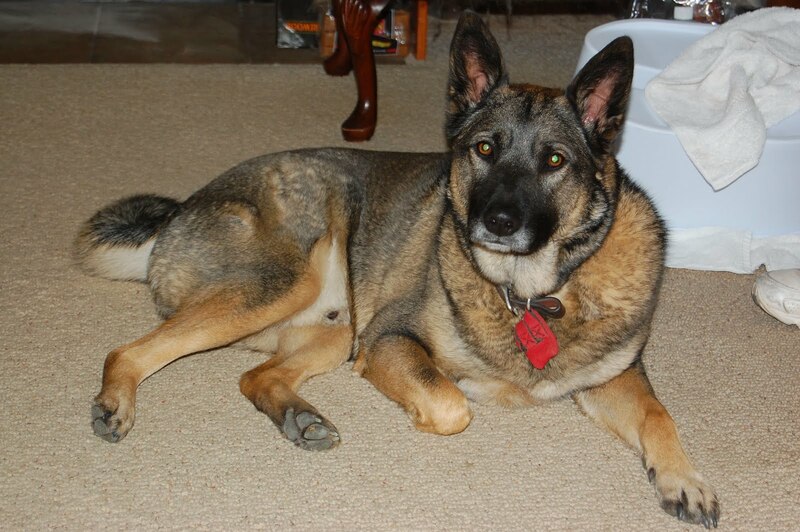 To adopt a military dog see Kandoll's site Military Working Dog Adoptions and the Lackland Air force base site where they are bred and trained. For more about military dogs a checkout The Dogs of War: Beloved Comrades in Afghanistan", Navy Seal Team 6 dog, and War dogs in Afghanistan. Thanks to Mock, Paper, Scissors for pointing out the video. What will your pet do after the rapture? Assuming you passed the Rapture test in the previous post, what will you do with your pet once you are gone? Fortunately a group of pet-loving atheists has the solution. Eternal Earthbound Pets will go by your home, pick up your dog or cat, and place it in the home of a pet-loving atheist who will take care of it for the remainder of its life, all for just $135. blaspheme in writing in accordance with Mark 3:29. "It's the only unforgivable sin," he explains. That way, even if a rescuer does find Jesus prior to the rapture, they're still screwed in case of the rapture. 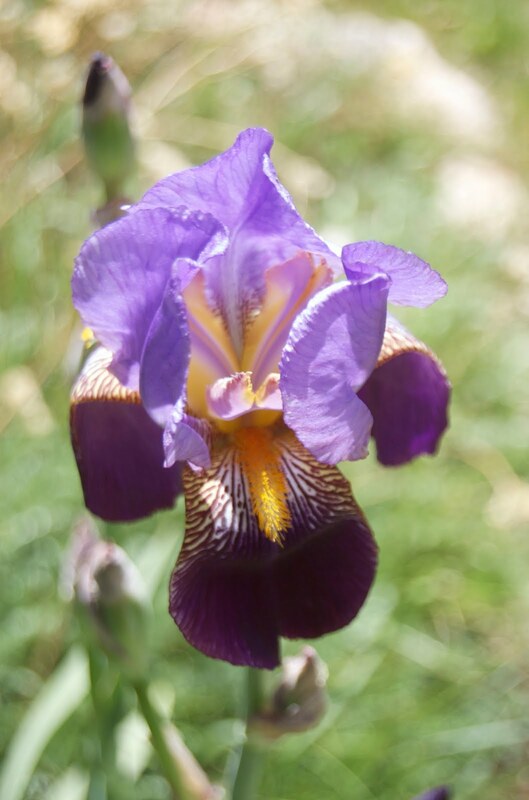 The group operates in 26 states, mostly in the Heartland and New England. Its assumed that pets in California won't notice anything going on. Read more about it at Gizmodo. 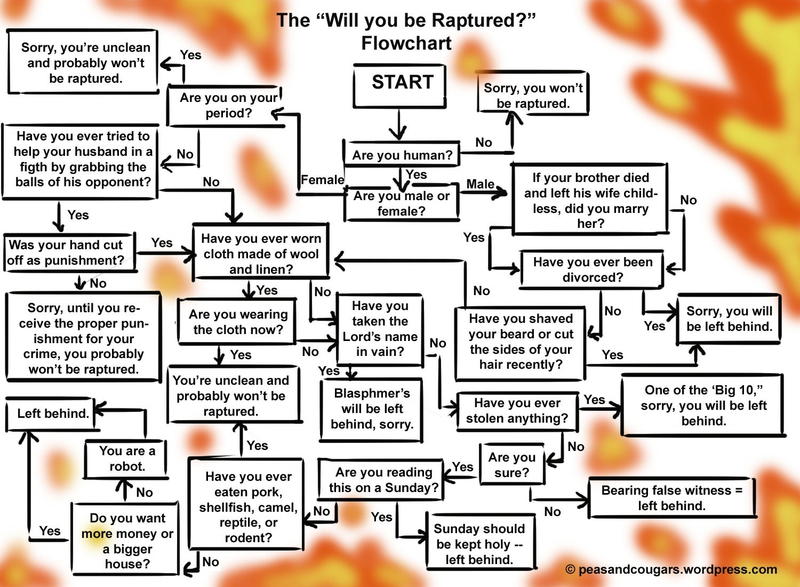 Check out this handy chart to figure out if you will be Raptured or left behind. Regardless of what happens, someone is in for a rude shock come Sunday morning. Lets see a cat do this! Just got back from Moab. Spent a week there shooting pixels. The dogs joined us and even got to do a little hiking. 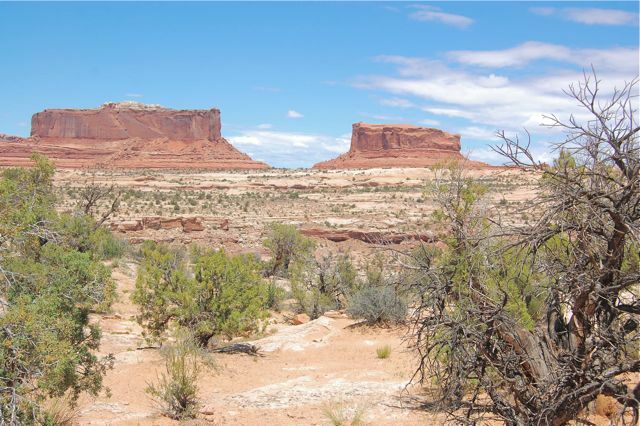 Weather was warm and dry, and the rocks like an alien landscape. This year's crop of Irises have appeared. Here is Andy, as always looking adorable. Talk about a fear of heights.